As a missionary, it was easy for me to reject claims by other religions simply because they didn't fit with my understanding or world view. If a Jehovah's Witness told me about their New World Translation of the Bible, I could immediately reject it as it was obvious to me that only Joseph Smith, or the modern-day prophet in my own church, was able to interpret the Bible or other scriptures correctly. So, a new translation of the Bible was out of the question. I could do the same mental gymnastics when considering claims about Islam, Scientology, or Born Again Christians. Something that I do now, to avoid a religious bias, is to listen to claims about religion and reevaluate what is being said, but using other words. Then see if I could still believe it. Joseph Smith was a true prophet, the Book of Mormon is true, and God is watching us from the Celestial Kingdom. Do you accept this statement as true? If not, why not? If so, why? Muhammad was a true prophet, The Koran is true, and Allah is watching us from Jannah. L Ron Hubbard was a prophet, Dianetics is true, and Xenu was the dictator of the Galactic Confederacy. To believers of these claims, they are undeniable and true. To everyone else, they are nonsense. A meaningful thought experiment is to be as skeptical about your own claims as the ones you immediately reject from others. If you can't reconcile your claims with facts or meeting your burden of proof, then you are not justified in believing them. Faith, as I have written about before, is not a reliable pathway to truth and cannot be used as a good reason for belief. Here are some other examples of thought experiments and analogies to consider when facing claims that require a burden of proof. Scenario: you're at a party and there's a jar of gumballs on a table- there's a grand prize for whoever can guess the correct number of gumballs. You and another guest have spent a moment to try and guess how many are in the jar. There are only two possibilities, the number of gumballs is an even or odd integer. Guest B looks at you and says, "there is an even number of gumballs in that jar." Being as there's been no reason given to you to believe that guest B could possibly know that to be true, you (Guest N) respond, "I do not believe that you know that there is an even number of gumballs in that jar." Let's say Guest B then claims that they know there is an even number of gumballs because a voice in his head told him so. You (Guest N) again respond that "I don't believe that you know, and I don't accept your claim." 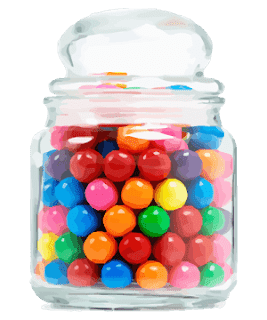 You do not know how many gumballs are in the jar, but saying you don't believe guest B's claim to be true does not mean that you are stating his claim is false. You are also not claiming that there are an odd number of gumballs in the jar, you simply have not been convinced that the number of gumballs is even. The default position to take on the number of gumballs is unknown. In the above example, Guest B is making claims about something that is not yet known. Guest B has the burden of proof. He would have to provide supporting evidence that is reasonable, justified, and logical in order to support his claim. Until such evidence is provided, the default position would be to not believe his claims. You, as the person to either accept or reject this claim, have no burden of proof since you are not making any claim, only rejecting an unsubstantiated one. Even if it is true that the number of gumballs is even, the claim would still require a burden of proof, the outcome is not the proof and could in fact be a lucky guess. When it comes to a belief in God, this is the default position. Many people will make a claim that they KNOW a God or Gods exist and then provide reasons or justifications that are not sufficient. They fail to meet their burden of proof. If you accept the claim, you are a theist. If you reject the claim, you are an atheist. I have yet to hear anyone meet their burden of proof in regards to claims about a belief in God. An exercise in logic and reasoning. I will provide a summarized/paraphrased version of the analogy. Tracie: Based on what you know about dice, is it possible to roll a 3? Tracie: How do you know that? Matt: Because there are 6 numbers and any one of them has the possibility to come up. Tracie: Could you roll a 5? Matt: Yes, for the same reasons. Tracie: How about a 7? Matt: No, that wouldn't be possible. Tracie: Oh I forgot to mention that you have infinite rolls. But you can't add the results together, each roll counts as a single event. Matt: Still no, since each roll still only has the same number of possibilities as the first. Tracie: If I put the dice in this bag that you don't know the contents of, is it now possible to roll 18? Tracie: Well if you don't know, then it must be possible, right? Tracie: I forgot to mention, whatever is in the bag, we get to roll an infinite number of times. Matt: Still doesn't change anything. Since I don't know what is in the bag, I can't say if it's possible or impossible. What I could say is that IF there are 3 standard dice in the bag, then it could be possible, but since I don't know, I can't make that claim. Tracie: Well if it's not impossible, then it must be possible. Matt: Depending on what we know about it, this would change whether or not we are justified in claiming something is possible or impossible. Tracie: What if there were 1 million dice in the bag? You don't know for sure so you really can't say. Matt: If we're talking about 1 million standard size dice, I can still estimate that they couldn't all fit in that bag. Tracie:...probably because of what you know about volume. (Tracie dumps out the bag which only has 2 dice inside). Tracie: So, if someone was to claim that it was possible to roll an 18, they would in fact be wrong. It's not just a matter of now knowing the truth, it's a matter if someone made the claim that they could roll an 18, they would be making a claim that something that is in fact impossible is possible. The idea behind this analogy is that claiming something is possible just because it can't be proven impossible is not a justified position to take. This is known as the argument from ignorance fallacy. Without knowledge about what is actually possible, the correct position to take would be to say you don't know. Other times, it is obvious that what is being claimed is an impossibility (as in claiming there is 1 million dice in that small bag). Other times, when it seems to be possible, you still cannot claim something is true or possible until further information is received. Such as claims about the supernatural or miracles, most people claim these things with the justification that if it's not impossible, then it could be possible. The fact is, you simply don't know and that's where the discussion ends until further proof is provided. Many orthodox people speak as though it were the business of skeptics to disprove received dogmas rather than of dogmatists to prove them. This is, of course, a mistake. If I were to suggest that between the Earth and Mars there is a china teapot revolving about the sun in an elliptical orbit, nobody would be able to disprove my assertion provided I were careful to add that the teapot is too small to be revealed even by our most powerful telescopes. But if I were to go on to say that, since my assertion cannot be disproved, it is intolerable presumption on the part of human reason to doubt it, I should rightly be thought to be talking nonsense. If, however, the existence of such a teapot were affirmed in ancient books, taught as the sacred truth every Sunday, and instilled into the minds of children at school, hesitation to believe in its existence would become a mark of eccentricity and entitle the doubter to the attentions of the psychiatrist in an enlightened age or of the Inquisitor in an earlier time. I ought to call myself an agnostic; but, for all practical purposes, I am an atheist. I do not think the existence of the Christian God any more probable than the existence of the Gods of Olympus or Valhalla. Nobody can prove that there is not between the Earth and Mars a china teapot, but nobody thinks this sufficiently likely to be taken into account in practice. I think the Christian God just as unlikely. This is another basic example of unfalsifiable claims that are common in theism and their responsibility to provide the burden of proof. 4. "A fire-breathing dragon lives in my garage"
Suppose I seriously make such an assertion to you. Surely you'd want to check it out, see for yourself. There have been innumerable stories of dragons over the centuries, but no real evidence. What an opportunity! "Good idea," I say, "but this dragon floats in the air." Now, what's the difference between an invisible, incorporeal, floating dragon who spits heatless fire and no dragon at all? If there's no way to disprove my contention, no conceivable experiment that would count against it, what does it mean to say that my dragon exists? Your inability to invalidate my hypothesis is not at all the same thing as proving it true. Claims that cannot be tested, assertions immune to disproof are worthless, whatever value they may have in inspiring us or in exciting our sense of wonder. What I'm asking you to do comes down to believing, in the absence of evidence, on my say-so. Claims or theories, that are constructed so they cannot be falsified, should not be considered seriously. Any argument that ends with "prove me wrong!" is a fallacy and an attempt to shift the burden of proof. Never assume you must be right simply because you can’t be proven wrong.